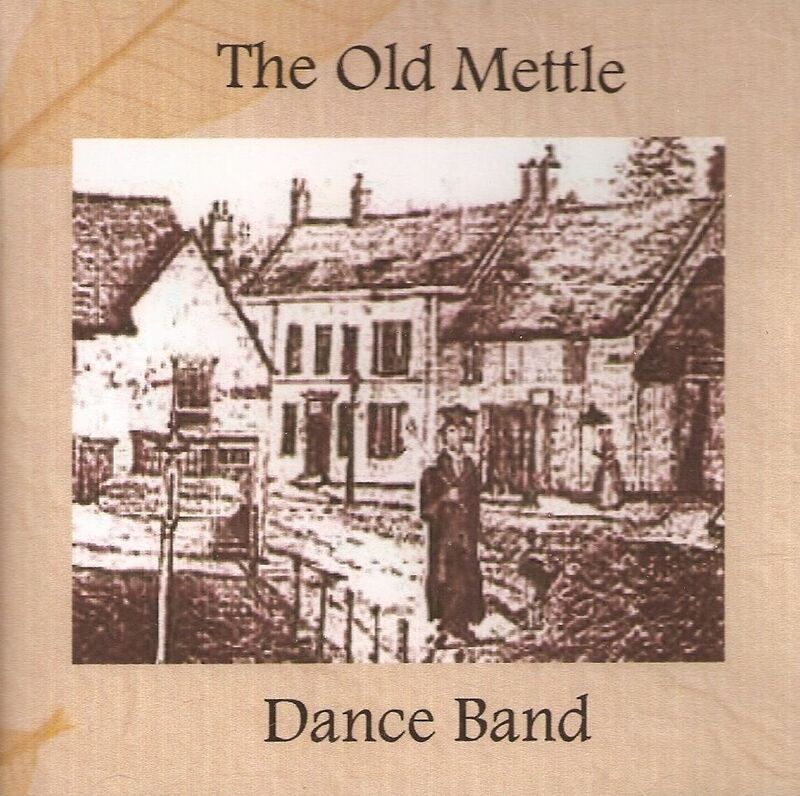 The Old Mettle Dance Band plays for barn dances in and around North Oxfordshire. We perform for wedding receptions, sports and social clubs and private parties and provide a whole evening of entertainment based on traditional English music and dance with a modern twist. 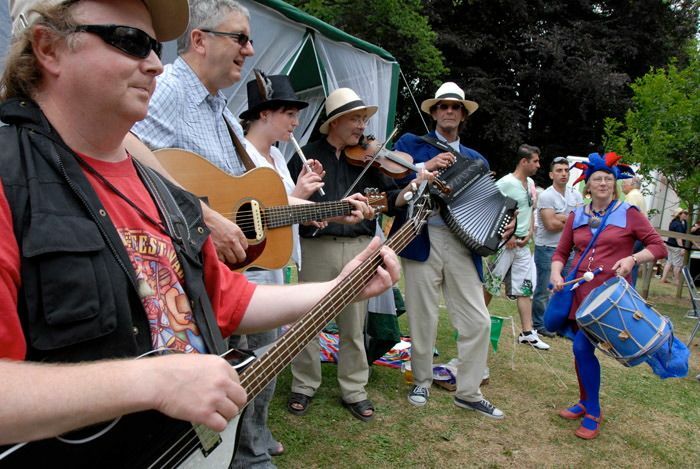 We also provide music for a whole range of outdoor events including fetes, festivals and historical re-enactments. 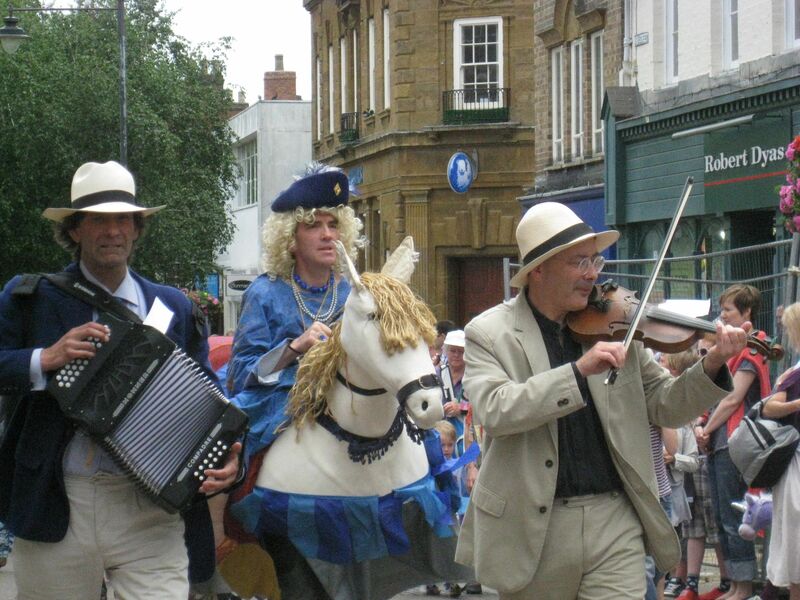 We have also performed at venues ranging from folk clubs to museum foyers. 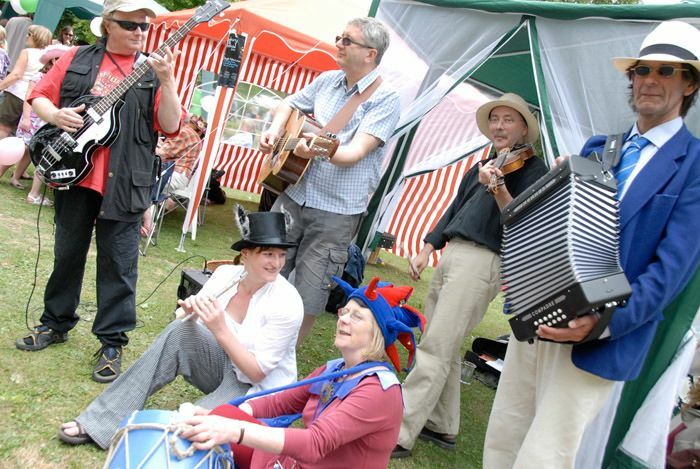 Our usual six piece line up includes melodeon, concertina, saxophone, fiddles, whistle, flute, bass guitar, lead guitar and a variety of percussion. 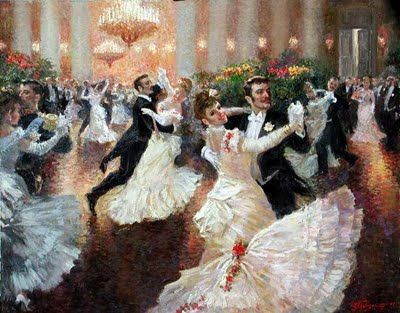 We play and teach a range of dances mainly from the tradition of English country dancing, most are lively some are more relaxing. 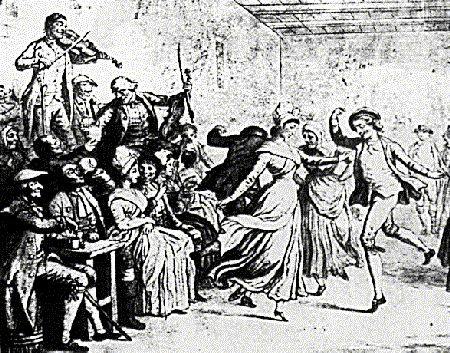 We have also specialised in dance music from the period of the English Civil War and can provide a programme of period music specially tailored to the needs of groups interested in historic dance. All we need is a large hall or barn and somewhere to plug in then the fun starts. We have our own caller who will take your guests through the simple instructions for each dance and keep them all on track as the music begins. 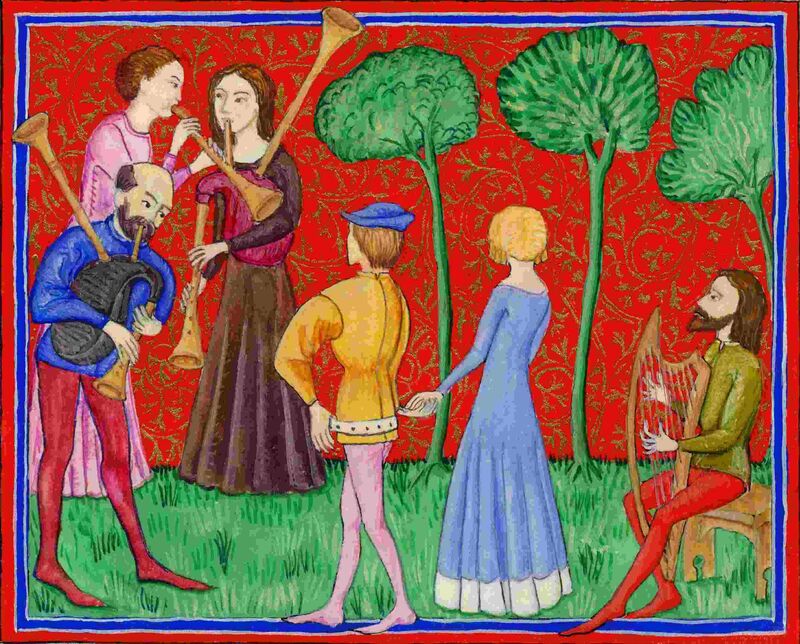 While the dancers get their breath back we step forward with a selection of tunes for listening to and the occasional dance display. The normal format is an evening which begins around 8.00 p.m. and ends around midnight, however, this can be varied to suit your needs. Most organisers put in a supper break mid-way through the evening. Some of our musicians play in other local bands including Fat Freddy's Cat, Chaemeleon and Paperback Writers as well playing for local dance teams:Bloxham and Adderbury Morris and Mr. Street's Rapper. All members of the band have lives outside folk music and the line up includes an architect, a software engineer, an archaeologist, a teacher, a law student and a press officer. You will be in good hands! Click below to hear us play a couple more of our medleys. Are you planning a family celebration, a staff party or a winter festival event like Twelfth Night or Valentine's Day? 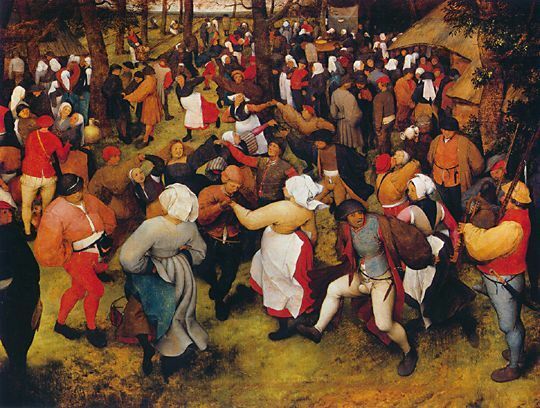 Why not warm up the evening with some music, dancing and traditional festivities? or phone Verna on 01295 758222. 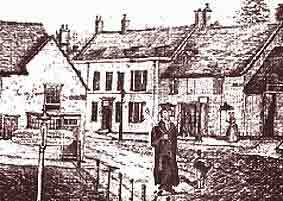 The band are named after 'Old Mettle', a local character who was well known in the Banbury area during the nineteenth century. His real name was William Castle and as well as being an itinerant match seller and commentator on political affairs he was also the fool for the Adderbury Morris Men.The Old Mettle Dance Band was originally formed amongst the musicians of the Adderbury Morris Men but it has since recruited talented and experienced musicians from many other areas. For more information about William Castle see articles in the Internet magazines "Shave the Donkey" and "Musical Traditions"